Airtel Digital TV has started waving off NCF charges on some FTA channels, taking the battle to Tata Sky and Sun Direct as both the DTH providers already announced that they would not charge any additional charges on FTA channels. According to the new tariff regime introduced by the Telecom Regulatory Authority of India (Trai), DTH providers are allowed to provide 100 channels under the initial slab of Rs 130 (Rs 153 including taxes). Post the 100 channels, users will be charged for every 20 channels they add. However, DTH providers, in order to lure the subscribers are not charging any additional fee even past 100 channels. Sun Direct was the first DTH provider to make this move which was followed by Tata Sky. Now, Airtel Digital TV has joined the list, but not in a full-fledged manner. This new move means that while subscribers were limited to only 100 FTA channels on Rs 130 NCF charge, now they will be able to watch more than 100 FTA channels by paying the same amount since there won’t be any additional slab NCF. To recall, the new pricing regime governs that the subscribers will pay two parts of the bill, one which will be NCF (Network Capacity Charge) and the other which will be content charges. The content charges in the case of NCF channels is nil, so the price of these channels essentially comes down to zero. Airtel has charted out a list informing its subscribers which channels will not levy any NCF. The list includes a lot of DD channels as well and some other channels also. These include, Homeshop18, Shop CJ, addiQYOU, Enterr10, NT1, ABP News, India TV, R Bharat, Republic TV, Tiranga TV, Mastiii, Maiboli, Pitaara, Rang, Dangal, Dabangg TV, Bhojpuri Cinema, Divya TV, Satsang, NT2, NT3, NT4, Public TV, Praja TV Kannada. In addition to these, a lot of DD channels are also available without the NCF. To understand the implication of this new move imagine that you have already subscribed to 100 channels thus occupying the NCF worth Rs 153, however, if you add these channels on top of those existing channels, your monthly rental will not be affected at all. Do make a note that not every user of Airtel Digital TV can subscribe to the channels mentioned above for free. With the new tariff regime in place, Airtel has gone through a lot of changes, and in fact, it’s so confusing at the moment. You can head over to the channel subscription portal and subscribe to the ones mentioned above, if the charges apply for the same, you’ll have to wait for a while for the price to reflect. Airtel is already running a TVC in which it clearly states that don’t panic if your channel pack/bill hasn’t changed even after choosing the options. In another related move, Airtel Digital TV has announced for its subscribers that users whose payment remains locked up in long term plans will get their amount reimbursed to their Airtel Digital TV account from which the monthly fee will be deducted month on month. 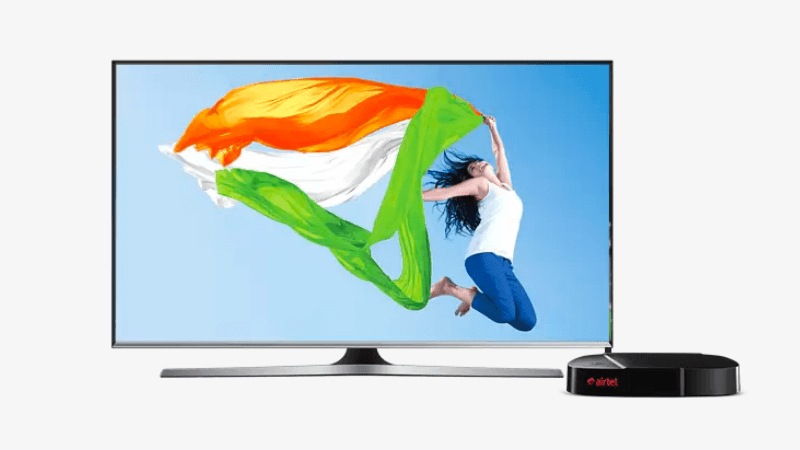 Like its other counterparts, Airtel Digital TV has also introduced regional add-on packs for its subscribers like the Bengali regional top-up which is priced at Rs 67, followed by Mini Bengali regional which costs Rs 42 per month. Then there’s a Gujarati regional top-up pack that costs Rs 7 as Airtel Digital TV has very limited Gujarati channels on offer. There are also Kannada and Mini Kannada packs in Airtel Digital TV’s portfolio. No NCF for the State’s propaganda channels like ABP News, India TV, R Bharat, Republic TV ! Hmmm !!! What about demonetisation and gst? What is the problem with GST. That has been biggest reform after independence and govt has been always open to feedback if there are any issues. There will be lot of burden over small scale industries and it will hamper our growth in next decade. Don’t you know that Dish Tv is not charging any NCF on FTA? the increased price pack to 190 instead of 160.